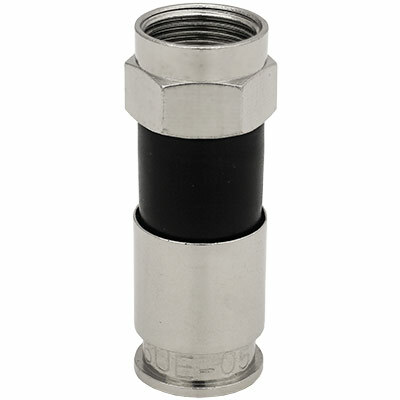 This universal connector fits any standard quad-shield, tri-shield or dual shield RG-6 75 Ohm coax cable. 50 RG6 Universal connectors per bag. Quick, easy installation on all RG-6 coaxial cables including dual, tri and quad shield. Precision machined body with mil spec plating. Designed to work with any standard compression tool.